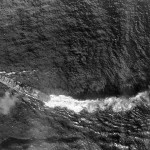 The IJN did not have any plane assigned to scouting missions therefore, it needed some support ships to perform this critical missions. Then, the Chikuma was designed for covering this weakness. 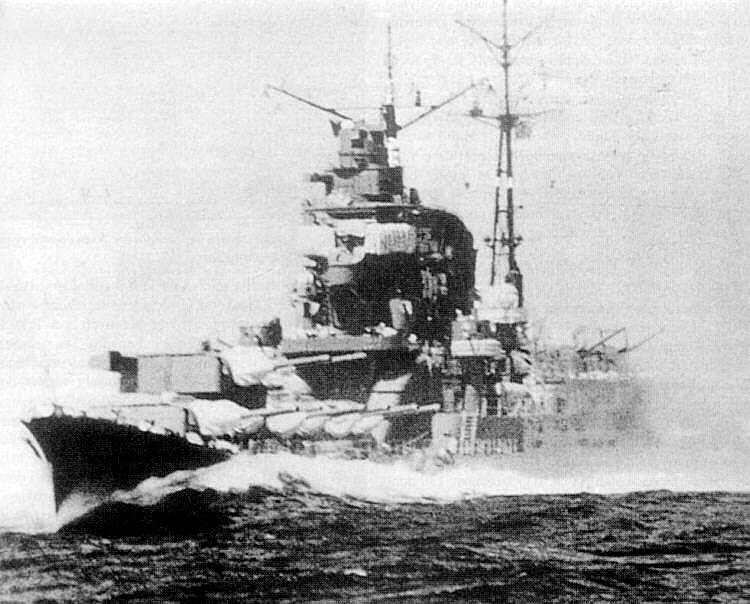 The Chikuma had capability for long-range scouting missions and had a large seaplane capacity. 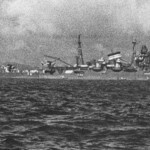 The heavy cruiser Chikuma was extensively employed during World War II in conjunction with an aircraft carrier task force, or as part of a cruiser squadron with her sister ship, Tone. Illustration of the Chikuma heavy cruiser made by Fujimi. 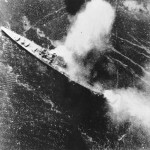 Chikuma under aerial attack during Battle off Samar in the Battle of Leyte Gulf, 25 October 1944. 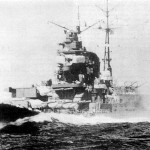 The ship’s stern has been severely damaged by a torpedo hit, but the ship’s outboard propellers are still keeping her somewhat moving.